Some are surprised to learn that caring for orphans is political. Yet, most understand a mix of money, Jesus, poverty, and vulnerable children makes a spicy cocktail, resulting in global pressure from UNICEF to shut down orphanages (Read more in The Orphan Report). Orphanages warehousing, abusing, and monetizing children need to be closed. Others providing faithful care and family support to children previously fending for themselves give life. So, which homes stay open? How does the ruling authority keep from literally throwing the babies out with the bath water? Last month, GO India faced a difficult situation. Rampant, serial, child abuse was discovered at a children’s facility nearby. In response, the government implemented strict regulations and on-site inspections for homes all over the state, including our partners and care givers at Sarampet. Dear GO Family, Praise God! Thank you all for the prayers and your wonderful words of encouragement. God has yet again won His battle and we have seen the Victory! Our Loving Father has been our fortress and our rescue. Every department and official of government have come and inspected every element. God has shown favor, and they were all convinced. Few of them even confessed that they were skeptical, looking for problems. Now, the government was so happy with the report received from these officials, that they have issued legal Orphan Certificates to all the children at Sarampet through the Commissioner of the state. This certificate would help these children and serve as basis for Birth Certificate, for opening bank accounts, license and also for provision in their higher educations and jobs with the government sector. This would also serve as medical insurance in case of emergencies. It was also a great opportunity that was given to us, as 300 people from other organizations attended this meeting at the commissioner office to share about the training and awareness measures that we are following at Father’s House to help children and to keep them away from abuse. Thank you all for your prayers and support. At GO, we believe the family is God’s best for children. When family fal ters or fails, the church (Jesus’ Bride) is best positioned to step in and provide care. We’re encouraged to see that government officials in India, the US, and around the world are open to this as well. At Sarampet, inspectors came in as doubters and left as believers in the transforming power of local church-based care; a different kind of convert. What started as a week of heartache, ended as a week of hope. God took what was meant for evil and used it for good. That is who He is. It is what He does, changing us, transforming us and caring for His children, along the Way. C3 to Fund an Orphanage Through Facebook! No Chance Meetings. No wasted days. 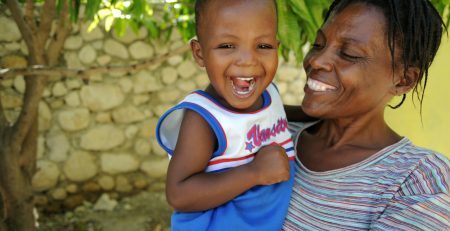 The Haiti Relief Fund: A Call to Action. Support a school. Support Isale. Special thanks to this year’s BIG Event Sponsors! We truly appreciate their support!